All over the world, football fans are preparing themselves for the season’s drama with fevered anticipation. For those of us who don’t follow the beautiful game, however, it can be a gruelling chore especially if we have spouses, kids and friends for whom it’s absolutely everything. 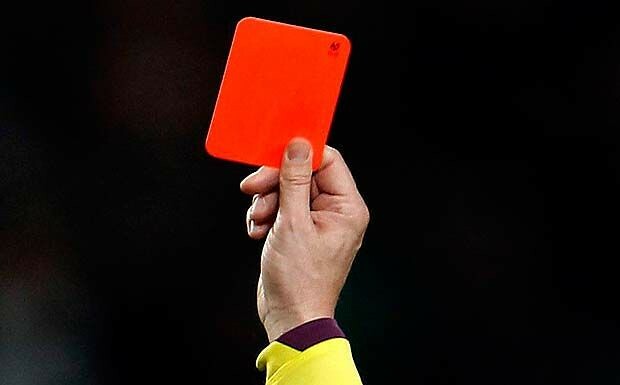 For men and women all over the planet who’d rather watch paint dry than invest ninety minutes (let alone a season’s viewing) in watching sports then it can create friction and even full blown arguments with football obsessed family members. Thus, we’ve created a guide to familial bliss throughout the football season that will prevent any of your family members from having to be shown the red card. Most people love football because they’ve built a tribalistic connection to their favourite team. Sure, as they get older they may develop a technical appreciation for the skill, technical proficiency and strategy of the game but it all boils down to a primal “us vs them” mentality. This psychology is often forged at an early age and it can be virtually impossible to develop that kind of investment as an adult. Football likely has psychological associations with family, togetherness and a shared experience much like a pop concert or a live theatrical performance. While you may not be able to recreate this kind of investment for yourself there may be some ways to create investment. Place a bet at the start of the season to give yourself a vested interest (just be sure to bet responsibly). Even picking a team arbitrarily because you like the sound of their name or the colour of their kit can be a fun entry point. Many men and women take their football seriously as watching it allows them an opportunity to leave their troubles behind for an hour and a half and invest their attention completely in the game. So, why not afford yourself the same opportunity? Take some time to visit a friend, read a book, watch a film or play video games. Whichever way you prefer to unwind, you’ll feel much better when the match is over..
For many of our partners, and especially children, it’s not enough to enjoy the football, they want to feel that we’re enjoying it too. Even if watching the game is boring or tortuous for you, then grin and bear it under the proviso that tomorrow the family can spend the same amount of time doing an activity of your choosing, whatever that may be. Most football fans are not made in front of the TV, they’re made in the stands. Even if you’re not a football fan, there’s a certain atmosphere around live football that should really be experienced by everyone, even those with no personal investment in the sport. 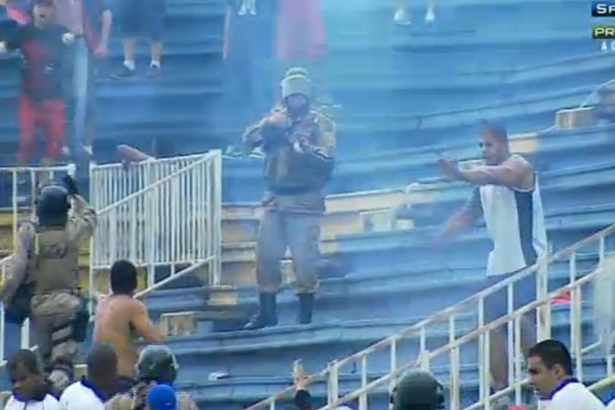 Football fans are very often misrepresented as being aggressive, rude and violent. However the vast majority are friendly, approachable and passionate, creating a welcoming atmosphere that you may just appreciate. San Francisco 49ers quarterback Colin Kaepernick has refused to stand for the national anthem in protest at what he sees as racial injustice. He remained seated as the anthem was played. “I am not going to stand up to show pride in a flag for a country that oppresses black people and people of color,” Colin Kaepernick explained. Some fans booed Colin Kaepernick when he took to the field. The San Francisco 49ers players said they supported Colin Kaepernick’s right to protest, which took place as the team hosted the Green Bay Packers in a pre-season game on August 26. “We recognize the right of an individual to choose and participate, or not, in our celebration of the national anthem,” the 49ers said. Colin Kaepernick has been outspoken on social media about race relations and a supporter of the Black Lives Matter movement. He told NFL Media: “To me, this is bigger than football and it would be selfish on my part to look the other way. The NFL player appeared to be referring to police use of deadly force which sparked the Black Lives Matter protests. 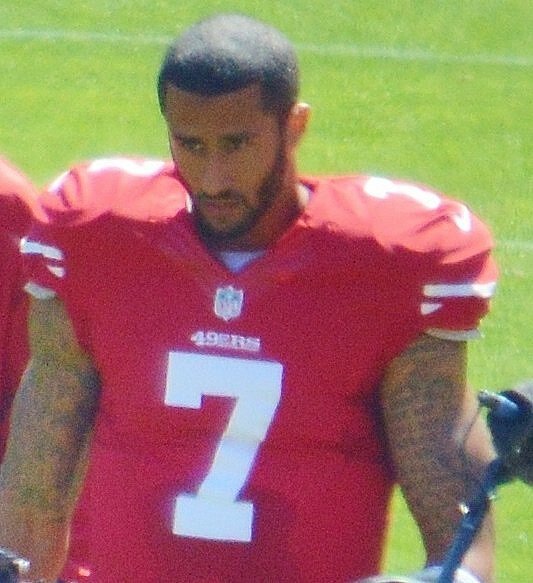 In 2013, Colin Kaepernick led his team to the NFL’s title game, the Super Bowl, but has since lost his starting place. 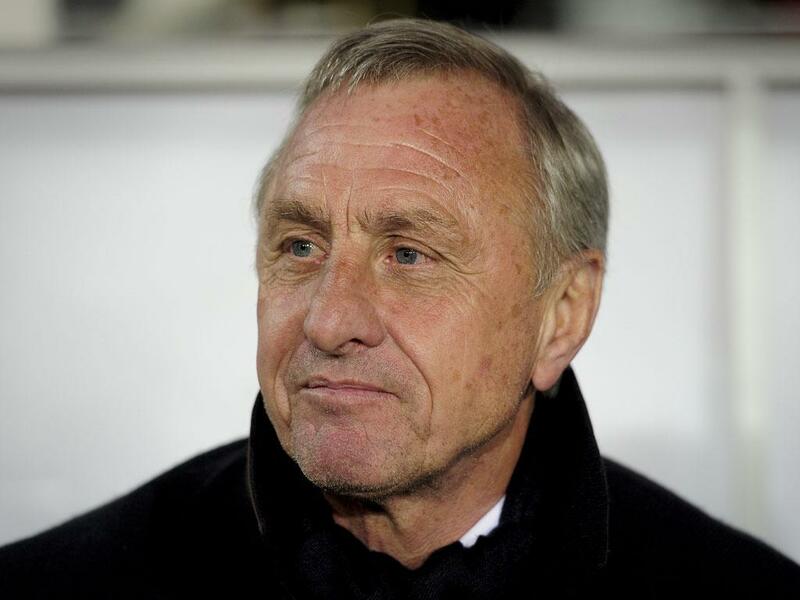 Dutch soccer legend Johan Cruyff has died of cancer at the age of 68. Johan Cruyff, who made his name as a forward with Ajax and Barcelona, was European soccer player of the year three times. The soccer icon won three consecutive European Cups with Ajax from 1971, coached Barcelona to their first European Cup triumph in 1992 and helped the Dutch reach the 1974 World Cup final, where they were beaten 2-1 by West Germany. Sepp Blatter has revealed he had a “gentleman’s agreement” with Michel Platini over the 2 million euro payment he made to the UEFA president in 2011. The 79-year-old FIFA president faces a criminal investigation over the payment, made nine years after Michel Platini, 60, carried out consultation work for the Swiss. Sepp Blatter and Michel Platini deny any wrongdoing. “It was a contract I had with Michel Platini, a gentleman’s agreement that was followed through on,” Sepp Blatter told Swiss broadcaster RROTV. Soccer’s world governing body FIFA has imposed a 90-day suspension on Sepp Blatter and Michel Platini while corruption claims concerning the payment are investigated. Former France international captain and coach Michel Platini says the money was an unpaid additional salary due from the time he served as Sepp Blatter’s advisor between 1998 and 2002. Following a UEFA meeting on October 15, the Football Association (FA) suspended its support for Michel Platini’s bid to become FIFA president “until the legal process has been concluded and the position is clear”. UEFA issued a statement saying Micehl Platini should be given the opportunity “to clear his name” and urged the FIFA ethics committee to conclude its investigation by mid-November. The FIFA presidential election is scheduled to take place on February 26, 2016. Meanwhile, FIFA says it will investigate “very serious allegations” that a 6.7 million euro payment was made to it by Germany’s 2006 World Cup organizing committee. The bid, led by former World Cup-winning captain and coach Franz Beckenbauer, edged out favorites South Africa in the July 2000 vote to win the hosting rights for the 2006 tournament. FIFA said the allegations would be reviewed “as part of the independent internal investigation currently being conducted by FIFA under the direction of its legal director with the assistance of outside counsel”. Germany’s Football Association is also investigating the payment, saying it had found no indication of wrongdoing in the overall bid process but that the payment “may potentially not have been used for the intended purpose”. 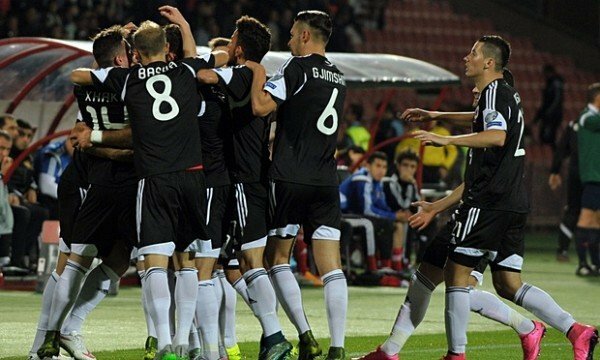 Albania national soccer team qualified for a major tournament for the first time in their history after beating Armenia with 0-3 and securing their place at UEFA’s Euro 2016. The win means Albania leapfrog Denmark into second place in Group I.
Portugal – who had already qualified as group winners – won 2-1 against Serbia, who had two men sent off. Albania’s win means Denmark finish third in the group, and will face a play-off to qualify for France next summer. Soccer’s governing body chief Sepp Blatter and UEFA President Michel Platini are facing an investigation by FIFA’s ethics committee. The move comes after the Swiss attorney general opened criminal proceedings against 79-yar-old Sepp Blatter. Sepp Blatter is accused of signing a contract “unfavorable” to FIFA and making a “disloyal payment” to UEFA President Michel Platini, 60. The FIFA president denies wrongdoing and his lawyer says he is co-operating fully. 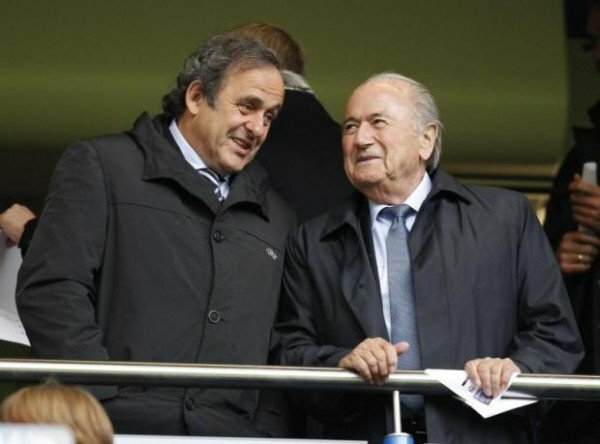 The ethics committee is looking into the circumstances of a payment of 2 million Swiss francs ($2.2 million) that Michel Platini received in 2011 for work said to have been carried out more than nine years previously, reported the Press Association. Swiss prosecutors opened criminal proceedings against Sepp Blatter on September 25. Michel Platini – who worked as Sepp Blatter’s technical advisor between 1999 and 2002 – was interviewed as a witness by officers from the attorney general’s office. 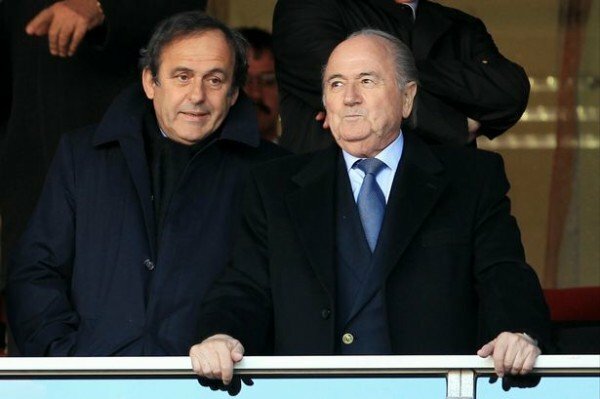 Michel Platini is yet to explain the nine-year delay in payment but he too denies any wrongdoing. Soccer legend Pele has been taken to hospital two months after having prostate surgery. Pele, 74, was suffering from a trapped nerve and has had back surgery at the Albert Einstein hospital in Sao Paulo, Brazilian media reports. 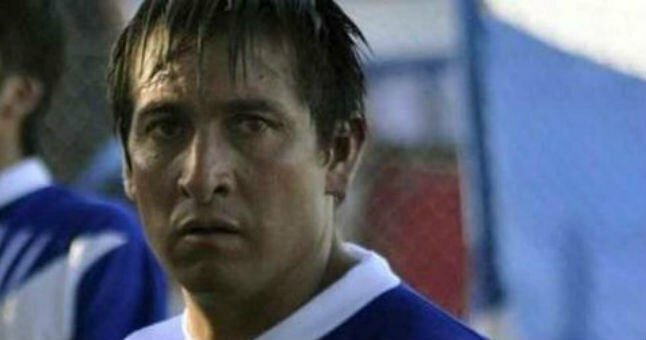 The Brazilian, a three-time World Cup winner, was treated for a urinary infection eight months ago after having kidney stones removed. 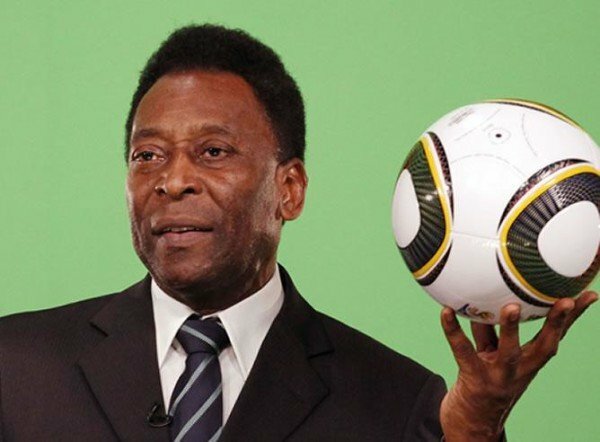 Pele, who was named FIFA’s Player of the Century, scored a world record total of 1,281 goals in 1,363 games during his 21-year career, including 77 in 91 appearances for Brazil. Swiss banks have reported suspicions of money laundering by soccer’s governing body FIFA. Local prosecutors are investigating 53 cases of possible money laundering in their inquiry into bidding for the 2018 and 2022 FIFA World Cups. Swiss Attorney General Michael Lauber said the incidents had been reported by Swiss banks. 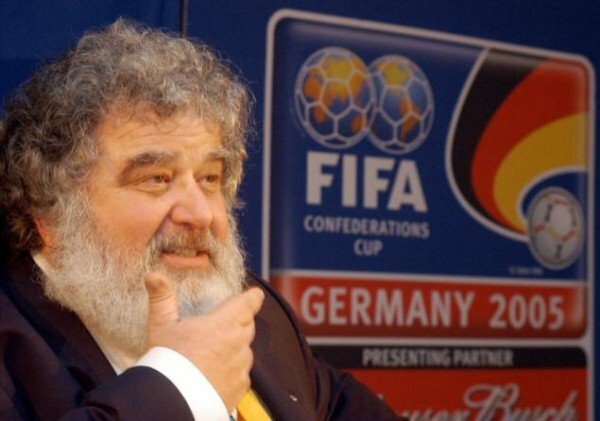 He said his office was analyzing a “huge amount” of seized FIFA data in its inquiry. The Swiss investigation is running in parallel to one being carried out by the US. The 2018 and 2022 World Cups were awarded to Russia and Qatar respectively. But leading FIFA official Domenico Scala has said the awards could be cancelled if evidence emerges of bribery. Russia and Qatar deny any wrongdoing. FIFA is facing claims of widespread corruption after Swiss police raided a hotel in Zurich – where the soccer’s governing body is based – and arrested seven of its top executives last month. The seven were held at the request of the US DoJ which has charged 14 current and former FIFA officials and associates on charges of “rampant, systemic, and deep-rooted” corruption. The charges follow a three-year inquiry by the FBI. 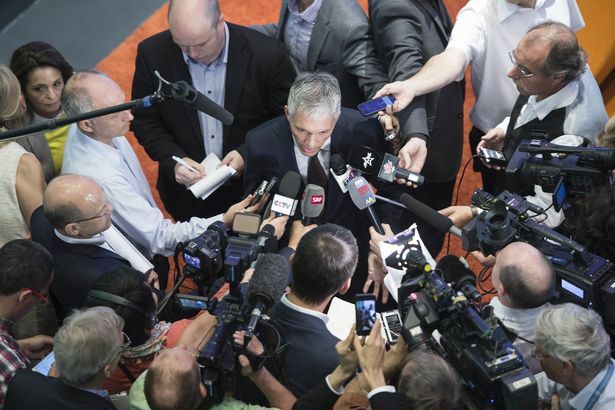 Also in May, Swiss prosecutors opened separate criminal proceedings “against persons unknown on suspicion of criminal mismanagement and of money laundering” in connection with the 2018 and 2022 World Cups. However, until now, much less has been revealed about the Swiss investigation than the inquiry being led by the FBI. Michael Lauber told a news conference that the investigation was “huge and complex on many levels” and would take a long time. “We note positively that banks in Switzerland did fulfill their duties to file suspicious activity reports. Partly in addition to 104 banking relations already known to the authorities, banks announced 53 suspicious banking relations via the anti-money-laundering framework of Switzerland,” he said. Michael Lauber said he did not rule out interviews with FIFA president Sepp Blatter as part of his investigation. Sepp Blatter has denied any wrongdoing and announced earlier this month that he will resign. The attorney said his investigation was separate from that being carried out by the FBI and that documents and data would not be shared automatically with the US. 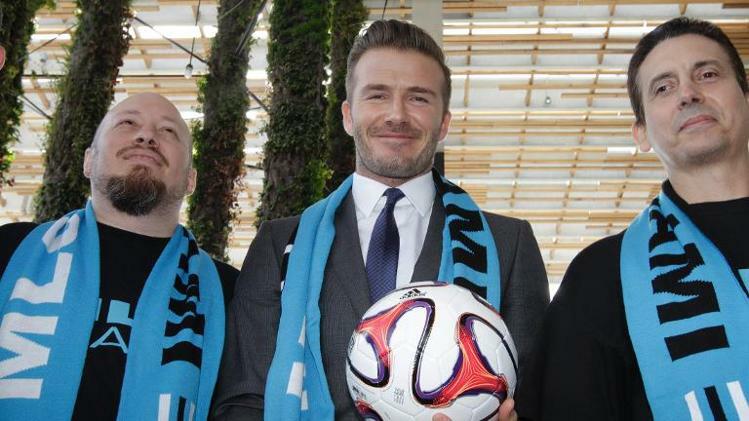 Miami has rejected David Beckham’s plan to build a soccer stadium on a city waterfront. The city determined the proposed location next to a major basketball arena was “inappropriate”. Former football player David Beckham has travelled to Miami frequently in recent months to launch a Major League Soccer (MLS) club. David Beckham’s business group, Beckham Miami United, has said it will continue to pursue alternative locations. The group is required to finalize a stadium deal before it can win approval from MLS, the US professional soccer league, to open a club. Scrutiny of the deal rose sharply after the city provided $500 million in public funding to build a new stadium for the Miami Marlins baseball team. Beckham Miami United has agreed to finance a $250 million stadium – expected to seat an estimated 20,000 spectators – and pay rent on the publicly owned land. David Beckham’s partners in the endeavor include British entrepreneur Simon Fuller and mobile phone services billionaire Marcelo Claure. 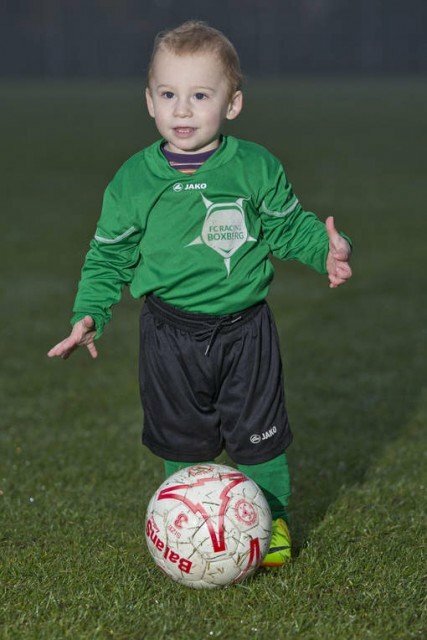 Bryce Brites became world’s youngest professional football player at only 20 months. Bryce Brites signed this week with Belgian club FC Racing Boxberg, based near his home city of Genk, after impressing coaches with his “highly unusual” talent and “incredible” ball control. The precocious toddler was invited to train with the club’s Under-5 team and was signed and issued his very own Belgian FA membership card the very same day. The toddler misses out on the all-time record for youngest-ever professional by two months. That record apparently belongs to Dutch footballer Baerke van der Meij, who signed a 10-year deal with VVV-Venlo when he was 18 months old. Racing Boxberg club secretary Dany Vodnik raved about the young prodigy, who is still in diapers, to Dutch newspaper Het Laatste Nieuws: “Bryce kicks a ball in a way you do not even see when playing drills with four or five-year-olds. His ball control is incredible for his age. The way he dribbles with the ball at his feet between the cones, he can give a pass to the left or right. Bryce Brites might just live up to the hype in about 15 years or so. But for the meantime, the toddler will likely enjoy instant celebrity status on his neighborhood playgrounds. Women’s football is the first event of the Olympics and is to kick off later, two days before the official opening ceremony. The Team GB women’s football side will get 18 days of sport under way at 16:00 BST against New Zealand at Cardiff’s Millennium Stadium. Designated Games Lanes, covering about 30 miles of roads and off limits to the public, have begun operating in London. And government lawyers will go to court to try to stop a public sector workers’ strike on the eve of the Games. Culture Secretary Jeremy Hunt will join Welsh Secretary Cheryl Gillan in Cardiff for the first event of the 2012 Games. Team GB coach Hope Powell said opening the Games was a “great honour” and would hopefully give people “a greater appreciation of how good women’s football actually is”. And captain Casey Stoney said she hoped the fixture could “raise the profile of women’s football”. Team GB drew 0-0 against Sweden in their final warm-up fixture at Middlesbrough’s Riverside Stadium last Friday. Relative unknowns Cameroon and heavily fancied Brazil will take each other on at the stadium after the GB game, and four other matches in the same competition are also taking place later in the day at Hampden Park in Glasgow and the City of Coventry Stadium. The Olympic Route Network (ORN), made up of 175 miles of roads connecting up the main Olympic venues across the country, comes into force on Wednesday. It is designed to make it easier for athletes and officials to get around the Games and has seen junctions blocked off, bus stops moved and parking bays suspended. As part of the ORN, the designated Games Lanes in London will be in operation between 06:00 BST and midnight and only open to VIPs, athletes and accredited media. Ordinary motorists going into the lanes face fines of £130 ($205). Mark Evers, Transport for London’s (TfL) director of Games transport, said commuters must leave more time for their journeys. “The worst case scenario for us is that people try to chance it and, those first few days of the Games, that they try to do what they ordinarily do – and I can guarantee all people that travel around London, those first few days of the Games are going to be really busy,” Mark Evers said. In the High Court, the government is to argue for an injunction to prevent public sector workers, including immigration and passport workers at Heathrow and other airports, taking strike action on Thursday. Thousands of spectators are expected to arrive at Heathrow Airport on that day. The Home Office says it believes there was a “procedural error” in the ballot of members of the Public and Commercial Services union. But the PCS said it was “confident” the strike was legal and would happen. The government insists contingency plans are in place in the event of industrial action. The death of Welsh national manager Gary Speed left the football world baffled and devastated yesterday. Gary Speed, 42, was found hanged by his wife, according to the Times, just after 7:00 a.m. GMT in the garage of their $2.3 million mansion. They have together two teenage sons. Just few hours earlier, Gary Speed had appeared happy and optimistic on BBC1’s Football Focus programme. The Welsh manager talked enthusiastically about his team’s improving fortunes and his hopes for success in World Cup qualifying matches next year. Presenter Dan Walker, who spent four hours on and off camera with Gary Speed, said: “He was as bubbly as I’ve known him. He was talking about his kids, how they were really coming on, and talking about playing golf next week. The suspected suicideof Gary Speed at the family home in Huntington, on the outskirts of Chester, was reported to police just after 7:00 a.m. Police said there were “no suspicious circumstances”. Officers were waiting last night to interview Gary Speed’s widow, Louise, 40, who was a constant figure of support throughout his career. A friend described Gary Speed as a “completely devoted dad” to sons Ed, 14, and Tommy, 13. Both are promising sportsmen. Ed is a footballer and Tommy a keen boxer. Robbie Savage, who played alongside Gary Speed for Wales, said his former teammate had been ribbing him on Saturday about his appearance on Strictly Come Dancing. “I just can’t believe it,” said Robbie Savage. “He was my mate and he’s gone. I’ve got very close to Gary in the last few years – the guy is a trooper, he’s left two gorgeous kids behind and a beautiful wife. He had everything. “I spoke to him yesterday and we were laughing and joking – he was saying make sure you don’t get a (mark of) two off Craig (Revel Horwood, the Strictly judge) tonight. That’s what Gary’s like – he always thinks about other people. Gary Speed’s former Newcastle United teammate Shay Given, who attended a charity fundraising fashion event with him in May, was seen in floods of tears on television as a minute’s silence was held at Swansea City’s match against Given’s team Aston Villa. Thousands of fans sang Welsh hymns and joined in the chant “there’s only one Gary Speed”. At Anfield, Liverpool’s Welsh star Craig Bellamy asked not to play against Manchester City after hearing the news. Gary Speed, who was awarded an MBE in the 2010 Birthday Honours, retired from playing only last year after winning 85 caps for his country. He represented Leeds United, Everton, Newcastle and Bolton Wanderers during his long career. Both Gary Speed’s parents were from Chester but he was born in the Welsh border town of Mancot and was always proud to represent his country. His father Roger played football for Wrexham before returning to his trade as a joiner. Gary Speed made his league debut for Leeds United in May 1989 and was a member of the team which went on to win the league title in 1992. Despite having limited experience as a manager, Gary Speed’s impact on the Welsh national team had been dramatic. He had a keen interest in sports psychology and after taking over from John Toshack a year ago was able to get the best out of young players such as Arsenal’s Aaron Ramsey and Tottenham’s Gareth Bale.